Saturday’s Rovers game against Walsall FC marked our annual Junior Takeover day, which saw children from Club Doncaster Foundation’s partner schools take control of all the jobs required for a smooth match day experience. 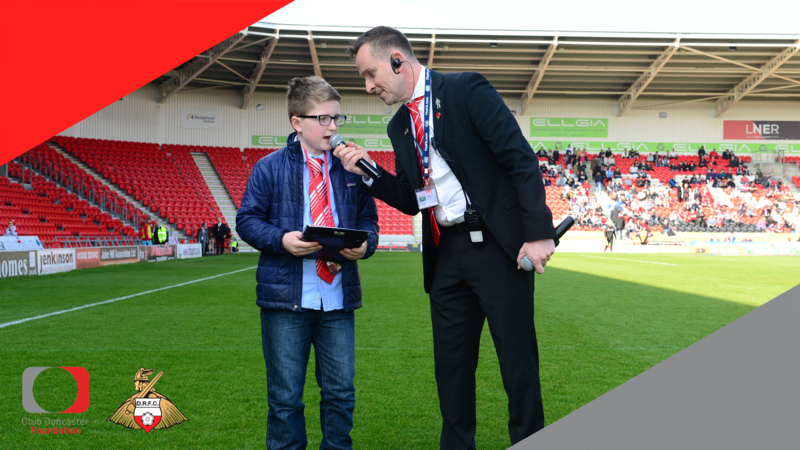 Twenty-six children took the reins of some of the most exciting roles at the Keepmoat Stadium, including first-team manager, player, groundsman, media manager and stadium announcer. The children were put through their paces in some high-powered jobs, delivering a brilliant atmosphere to fans, who saw Doncaster Rovers claim a well-deserved victory over The Saddlers. Organised by Club Doncaster Foundation, the day received some incredible feedback from parents and is just one of the fantastic elements available to partner schools. Sport development officer, Kelly Jackson-Powell, commented: “Junior Takeover Day is one of our best projects; it’s one that we are immensely proud of. “Being able to put smiles on the kids’ faces and watch them make memories they can tell their friends and family about sums up why we do it. “For many of the children who take part, it really is a once in a lifetime opportunity and allows them to, not only engage with this family football club, but also inspire them to explore future careers. Austin Blamires, Rubie Slater-Rowley, Scarlette Slater-Rowley, Jacob Perkins, Ellie Smith, Grace Burton, May Fell, Adam Parker, Grace Porter, Jesse Scott, Logan Worrall, Evan Curry, Grace Curry, Julia Hibner, Robbie Oliver, Bella, Nishant Subedi, George Dibb, Thomas Drury, Rachel Lumb, Lawrie Buchanan, Junior Lazzari, Olivia Best, Lucy Scherer, Marcie Blammer, Harvey Wraith. To view how the day unfolded, check out the photo album here. For more information about the different schools packages your school can be involved with, or how to be involved with the activities ran by Club Doncaster Foundation, contact the team on 01302 764663.